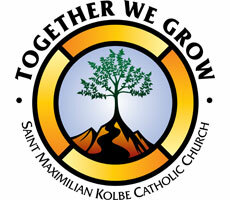 St. Max offers safe and secure electronic giving opportunities through Faith Direct. The Kroger Community Rewards Program is so very easy. All you need is a Kroger Plus card. 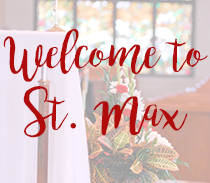 Once you’ve designated St. Max as your charity of choice, St. Max automatically starts earning money! Need a card? Visit kroger.com to enroll. Our Non-Profit Organization Number (NPO) is WY437. New this fiscal year, we will be earmarking the funds we receive from Kroger to provide childcare at no cost to our parishioners during certain events, meetings and more! All we ask in return is that you shop at Kroger with your Kroger Plus card and make St. Max your favorite charity! THANK YOU to everyone who has participated in this program! Your Kroger purchases, including gas, gift cards, and pharmacy needs have earned $4,000 for St. Max the first half of this fiscal year! This is free money folks!! It’s a no-brainer!!! Sign up today!!! When you shop on Amazon, login and make Saint Maximilian Kolbe Roman Catholic Church in Liberty Township OH your preferred charity. Remember, always start at www.smile.amazon.com and Amazon will donate 0.5% of the price of your eligible AmazonSmile purchases. Questions? Contact the parish office, 513-777-4322 and THANK YOU for your support!! Max, including qualified charitable distributions from your IRA, distributions from donor-advised funds, stock contributions, and planned giving through estate planning. Consult your tax advisor or estate lawyer for details. 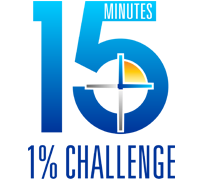 Text $ amount to (937) 400-1866 and follow the link to complete a one-time registration process.